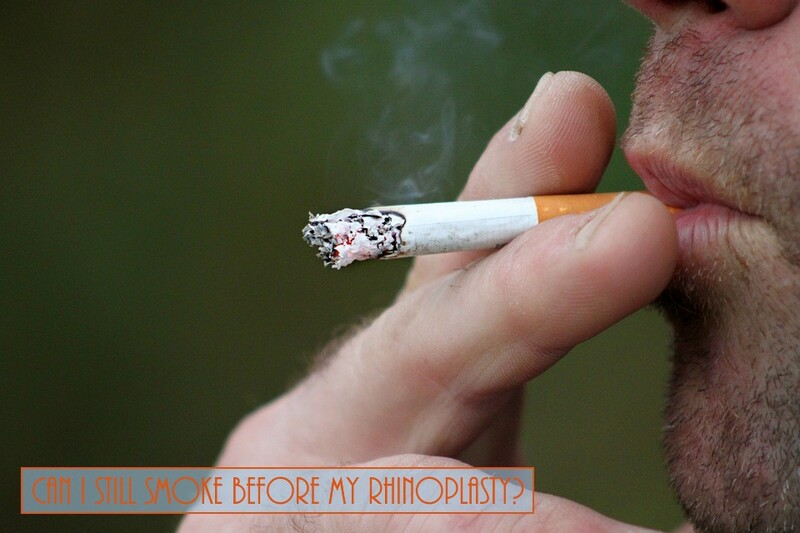 Home > Blog > Can I Still Smoke Before My Rhinoplasty? It is highly recommended that all smoking be stopped at least 2 weeks before your Rhinoplasty procedure. Carbon monoxide introduced during smoking affects our tissue and the nicotine found in tobacco products can cause blood vessels to restrict, limiting the amount of oxygen that can get to the rest of our body. Because of these very serious complications, some plastic surgeons will refuse to perform surgery on patients who smoke. Others will require patients to commit to giving up smoking for several weeks prior to surgery.